Four extra buttons, a built-in headset adapter, and rubber grips will set you back $150. I don’t know who buys third-party controllers nowadays—I feel like the Xbox 360 controller is still the gold standard for PCs, with the Xbox One and DualShock 4 following close behind. 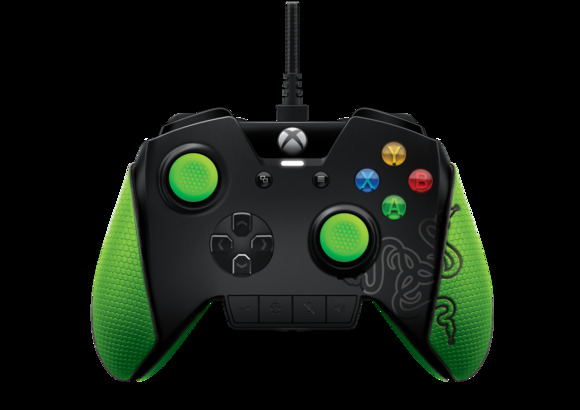 But if you are in the market, Razer’s just unveiled a new “pro-gamer validated, tournament-grade” gamepad, the Razer Wildcat. In a lot of ways the Wildcat is similar to the modular Xbox One Elite controller that Microsoft unveiled at E3. Like the Elite, the Wildcat adds four buttons to the standard Xbox One layout. The main difference is placement—the Elite throws all four paddle switches on the back of the controller, while the Wildcat has two on top next to the LB and RB buttons and two (I swear this came from the press release) “removable aircraft-grade aluminum triggers” on the back. Aircraft-grade. In case the world ends and you’re forced to melt down your Wildcat and use the scrap metal to build a Mad Max-esque gyrocopter. There are optional trigger stops included, and it looks like the Wildcat has the Xbox’s weird headset adapter basically built into the bottom of the controller (allowing you to plug in any 3.5mm jack headset). Razer also claims it is “twenty-five percent lighter than other tournament grade controllers,” coming in at 0.57 pounds. It’s worth noting this is a wired controller, full-stop. As with many gaming peripherals, Razer has designed the Wildcat for low-latency play, which means wired. There’s a MicroUSB input in the top. As for design, it adheres pretty close to the standard Xbox One shape, albeit with a few Razer touches. There are optional stick grip caps and rubber palm grips, all festooned in Razer’s usual eye-searing green. 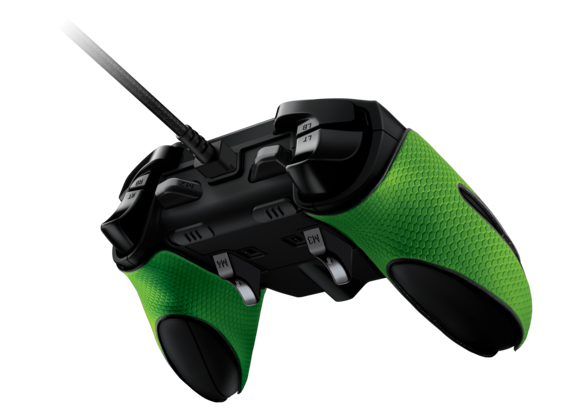 Whether you use the palm grips or not, the Razer logo is stamped across the bottom right of the controller. And one last thing the Wildcat has in common with the Xbox One Elite controller: Price. You can pick up the Wildcat in October for $150.